Are you planning a huge party? Are some stuff too expensive to get for just one event? 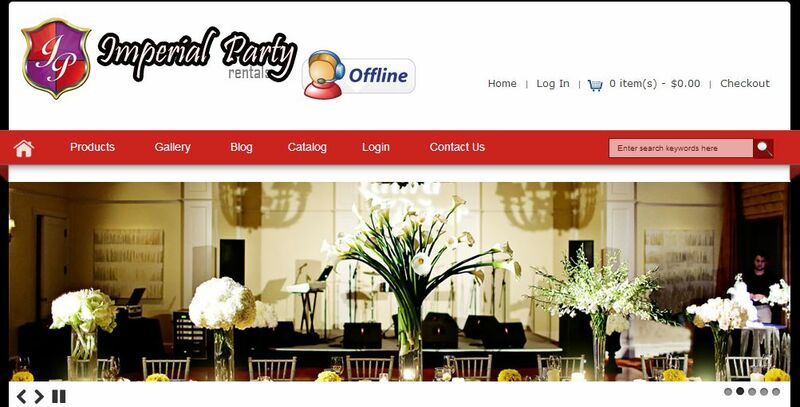 If so, you need to visit this website to get instant and affordable access to party rentals. From folding chairs, to decorations and even tableware and tents, Imperial Party Rentals know what you need and they offer it for rent at a great price. Why Choose Imperial Party Rentals? First off, you should consider their services as they’re really easy to use. Furthermore, the affordable prices and the huge variety of party stuff they have on stock is amazing for those willing to plan and put together a great party in no time. The website works wonderfully as well. You’ll be presented with a wide range of categories to choose from, depending on what you need to set up your party. As mentioned above, you get folding chairs, tables, tableware, decorations, pipes, drapes, even fun rides and linens. Basically, everything you would need to put together a memorable party. Aside from that, each product has its own description page, with pictures attached so that you always know what you’re getting beforehand. Based in Florida, you can visit their offices at the addresses offered on their website. So don’t stand around – get in touch with them to start planing your amazing budget party.